The counting is currently underway at 38 centres in 30 districts across the state. The fates of over 2,600 candidates, contesting from 222 seats out of 224-assembly constituencies, including 36 reserved for Scheduled Castes and 15 for the Scheduled Tribes, will be out by the end of the day. A whopping 72.13 percent of the 4.94-crore strong electorate voted on Saturday, May 12, recording the highest voter turnout in the last 35 years. Siddaramaiah-led Congress, which is eyeing a second consecutive term in the state, fought in all 222 constituencies. The BJP, which is eyeing the 22nd state in its kitty, also fought from 222 constituencies. BS Yeddyurappa is BJP's chief ministerial candidate. The Janata Dal-Secular (JD-S) fielded candidates for 201 seats while its ally Bahujan Samaj Party (BSP) contested from 21 seats. There were 1,155 Independents and about 800 candidates from national, regional and fringe parties. 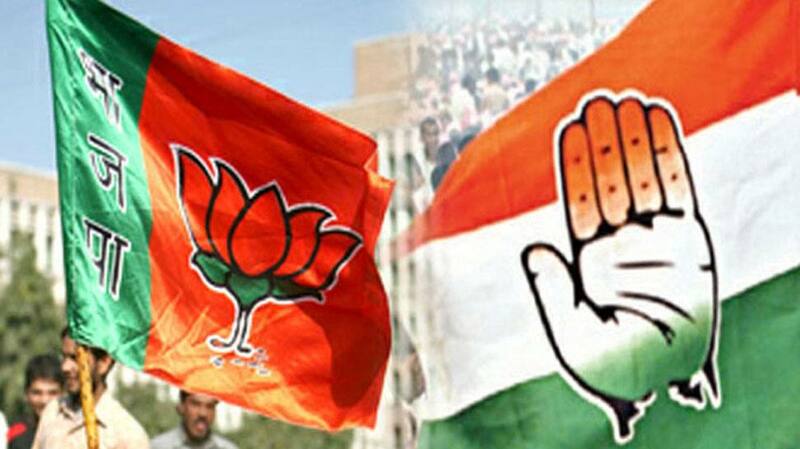 Exit polls on Saturday predicted a hung Assembly, most predicting a close contest between the ruling Congress and its main rival the BJP. Deve Gowda-led JDS is likely to be the kingmaker, if the no party manages to secure a majority on its own. At present, the majority mark is 112 as results will be declared for only 222 seats. BJP is catching up quickly, gaining leads in 33 seats. Congress is ahead in 40 seats while JDS in 10.